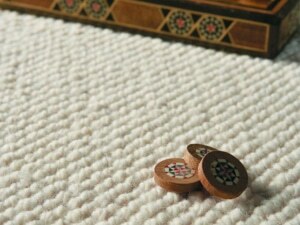 Wool carpeting is some of the softest, most durable carpet on earth. But trusting your carpets to an uneducated carpet cleaner can be detrimental. You should never ever trust your wool carpets to a carpet cleaning company that isn’t WoolSafe Certified. The Carpet Chemist is a WoolSafe Certified company that uses Wool Carpet Cleaning products. You simply can’t go around spraying a bunch of high pH carpet cleaning chemicals on wool carpet, just as a typical carpet cleaner would do to a nylon or polypropylene carpet. Wool is a natural fiber which makes it more susceptible to damage from over-wetting, heat, high pH chemical burns, cellulose browning water marks and much more. Take it from the wool carpet cleaning pros at the carpet chemist. We’ve seen it all. Improper wool carpet cleaning techniques would permanently damage your expensive wool carpets. When you have a spill or accident on your wool carpets, we highly recommend you do not start spraying chemicals you found under the kitchen sink. You can either give us a call and we will be delighted to walk you through the safest spot removal process possible. If you insist on attempting wool stain removal yourself, please look for the WoolSafe logo on the bottle of spot remover you are using. If it doesn’t have a picture of a sheep and say WoolSafe, you will likely end up doing more harm than good. As stated above, do not put the fate of your expensive wool carpets in the hands of an untrained carpet cleaner. Specialty stain removal and wool carpet cleaning techniques require a completely different approach than synthetic carpets. Stains such as pet urine, red wine, or other difficult stains can absolutely be removed b your WoolSafe Certified Carpet Chemist professional. We work tirelessly in our Carpet Chemist Lab formulating wool carpet cleaning solutions that are extremely safe for your wool carpets. Count on Louisvill’s wool carpet cleaning and stain removal experts, The Carpet Chemist. Certified, reliable and WoolSafe carpet cleaning from The Carpet Chemist will ensure proper wool carpet cleaning procedures, for a soft, toe scrunching feel you’ll love.